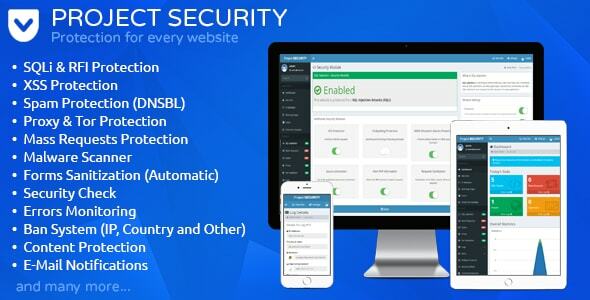 Project SECURITY is a powerful website security app that will protect your website from hackers, attacks and other threats. It could protect your website from SQLi Attacks (SQL Injection), Mass Requests (Flood / DDOS), XSS Vulnerabilities, Proxy Visitors, Spammers, Malicious Files (Shells) and many other types of threats. 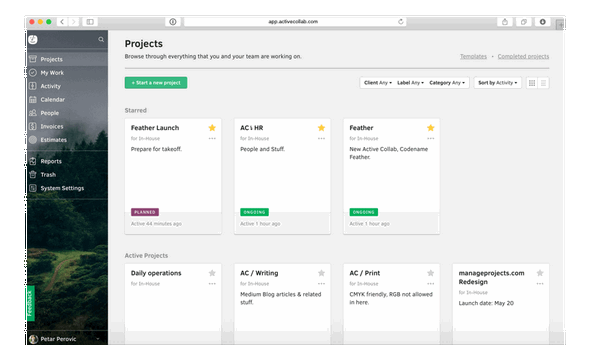 Powerful, yet simple project management. Active Collab helps your team stay organized when you outgrow email. But it’s so much more than that — with plenty of neat add-ons, it’s a one-stop solution for all your business needs. Invotim is a web-based project and client management system implemented using CodeIgniter framework. It uses JQuery and MYSQL database. The system will give you the opportunity to calculate the time spent on a particular project and create custom invoices and send them to your clients directly, it will also help you in managing and tracking your income by the detailed reports it produces. 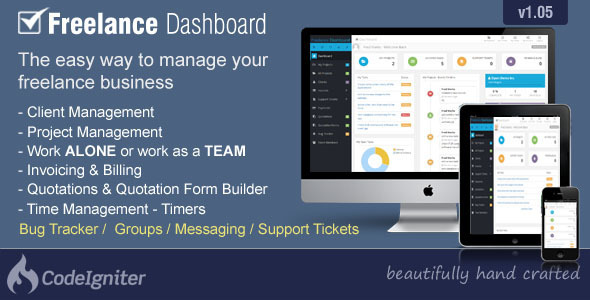 Freelance Dashboard is the only project management application that you will need to manage your projects and clients. We have bundled all the features you need into one easy to use, beautifully designed platform. Even if you are not a freelancer, this application is built to manage any kind of project. 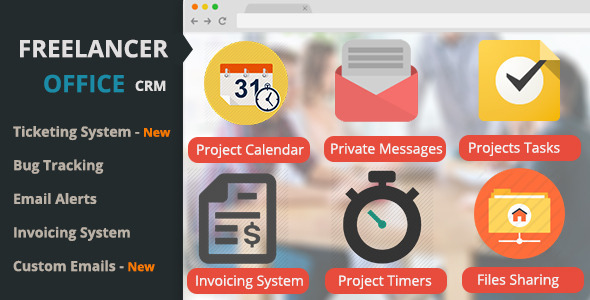 Freelancer Office is a Simple and convenient web based project management and time tracking tool for managing projects, setting tasks and monitoring your work.